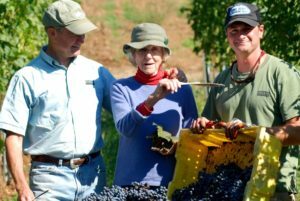 This is a Maryland story – a story of grapes and wine and a family that have flourished by being planted in a good location, sending down deep roots, and staying put. Upon settling in the Long Green Valley in 1725, our relatives fell in love with its gentle, productive land, put down roots, and never left. Named “Long Green” on the old plats, our farm has been a model of local agriculture, as successive generations have worked its fields, harvested crops, and tended livestock. Boordy’s grapevines stretch over the hills and across the valley of Long Green today. 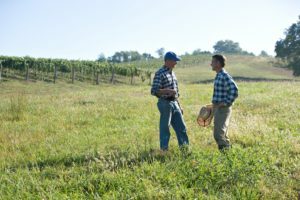 Like most farming, winegrowing stems from a profound respect and fascination with the land; indeed, a vineyard is a crop that lasts many decades, so sustainability is foremost on our mind. In keeping with an ethos of stewardship, we have placed our farm in permanent preservation with the Maryland Environmental Trust. 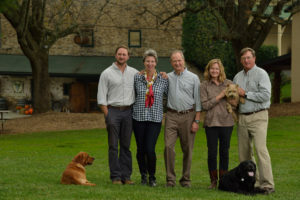 but our connection to the the historic Maryland winery began decades earlier as grape growers for the original owners, Philip & Jocelyn Wagner of Baltimore. 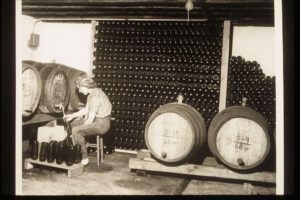 Their bonding of Boordy as a winery in 1945 set it in rare company in America at that time, and we have been proud to continue to play a role in the crafting of fine wines in Maryland. 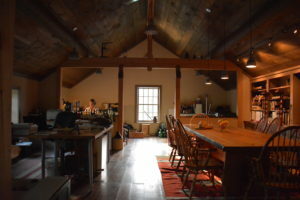 Moving Boordy to our family farm, Long Green, brought dynamic new energy and purpose. 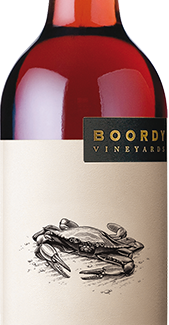 Rob Deford III, who had studied viticulture and enology at the University of California, Davis, assumed the role of Boordy’s president and winemaker, launching the modern chapter in the storied winery’s life. Over the ensuing years historic buildings were renovated and dedicated to new uses, vineyards were expanded, and the public was welcomed. 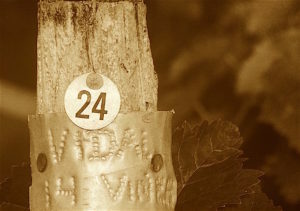 As the winery grew, talented employees were hired, and the wines steadily gained renown. Today Boordy is managed by Rob Deford, his wife Julie, and son Phineas. 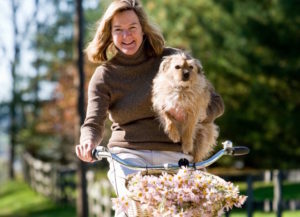 Rob’s sister Sally Deford Buck, who lives next to the vineyards with her husband Bayly, enjoys a scenic bike ride to her work at the winery. 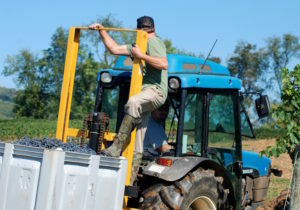 For the four generations of the Deford family who live and work on the farm, Boordy Vineyards connects us to the web of life: to our history, our neighbors, our environment, and to the community of wine producers and wine lovers from around the world. R.B. Deford Family, props. Anne Deford, Rob & Julie Deford, Sally & Bayly Buck, and our children. 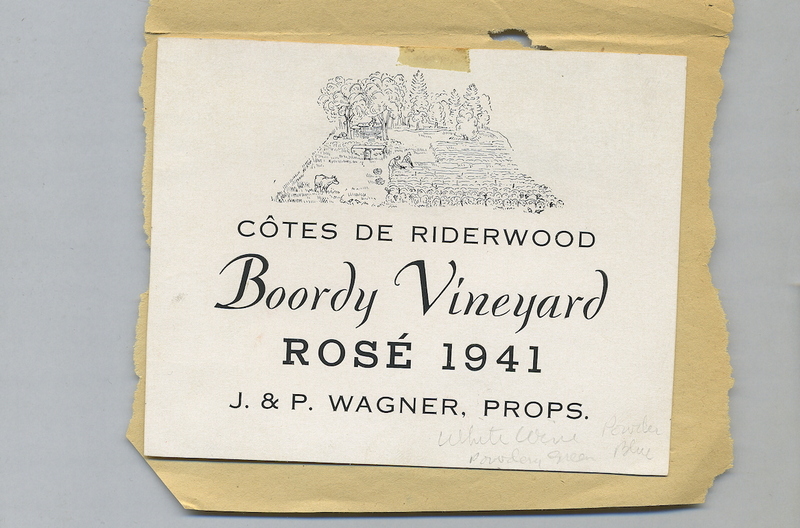 A WWII-era wine label predating Boordy’s official bonding in 1945 by Philip and Jocelyn Wagner..
Jocelyn Wagner bottling the first commercial vintage of Boordy wine in 1946. 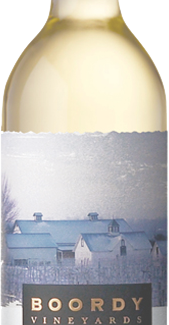 Boordy imported the first Vidal Blanc grapes into the U.S. 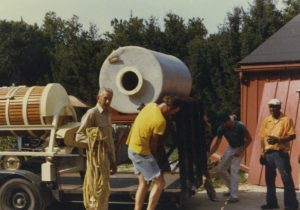 Rob Deford Sr. oversees the move of Boordy’s equipment to the Deford farm in 1980. The Boordy family today: Phineas, Julie & Rob Deford, Sally & Bayly Buck. Rob Deford making harvest decisions with vineyard manager, Ron Wates. Phineas Deford brings in a load of merlot grapes. Sally Deford Buck has a “green & sustainable” commute. Rob Deford, Anne Deford, Phineas Deford – three generations. Julie Deford at her desk in Boordy’s world headquarters.